I posted this photo in Facebook last week. 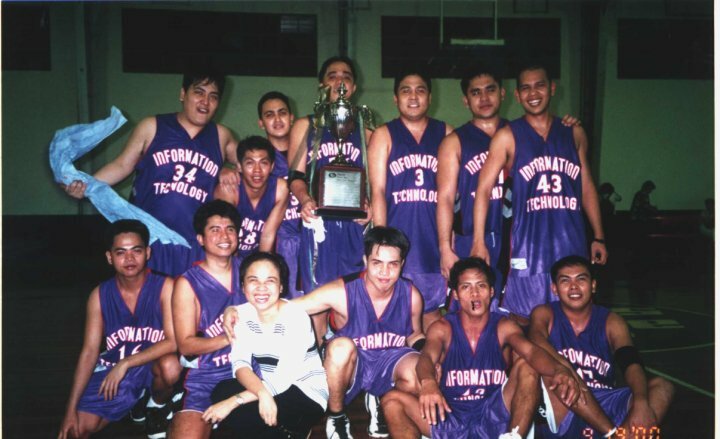 It was taken when our department’s basketball team won the company-sponsored sportsfest finals almost 10 years ago. RC: This gave me goose bumps! Unforgettable 4 seconds of my life! RC: Indeed! SM Mega leading by 1 point. Both teams in penalty. I shot the first free throw to tie it for overtime! Missed the second shot but got the ball for a follow-up, it went thru! We won! AV: Brilliant! And that explains my big smiles in the photo! I then thought, do I have my own ‘last 4 seconds’ story? A story that will be a defining moment not just for me but people around me as well. A story that I can remember over and over again with great joy and pride. A story that will allow me to hold in my hands the trophy of success. I believe we all have numerous ‘last 4 seconds’ story. Some known to us, some just skip our consciousness without even realising how it makes us a better person. There are ‘4 seconds’ moments when a bold ‘Yes’ can change the course of our lives. There are ‘4 seconds’ moments when choosing to tell the truth over lying can gain us a good night sleep. There are ‘4 seconds’ moments when saying I am sorry will not make us less of a person but a fuller one. There are ‘4 seconds’ moments when giving forgiveness is not a favour we do to the other but a way for us to heal our own woundedness. There are ‘4 seconds’ moments when we can judge a person or we can simply embrace and accept the other as who he/she is. We always say, ‘time is gold’ or ‘every minute counts’ but let us also be conscious of those ‘4 seconds’ moments in our lives that will turn into cornerstones of who we will become.